Our Hospitality Business programme is the first and only hospitality programme offered by one of the five autonomous universities in Singapore. The primary objective of our three-year programme is to nurture hospitality professionals who are passionate about making positive and tangible contributions to the industry. In fulfilling industry needs, they will, at the same time, be competitive and forward-looking. Graduates of Hospitality Business can, therefore, expect to develop strong operational skills (know-how) anchored in solid theoretical knowledge (know-why). 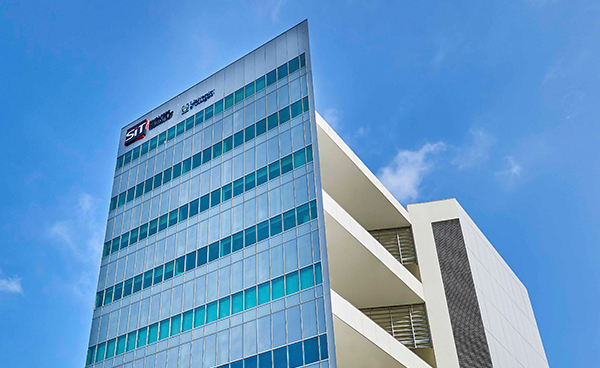 They will also acquire strong cultural sensitivity and critical thinking skills in line with the international nature of Singapore’s hospitality scene. Students can expect a curriculum that combines theory and current industry practices. This will be taught against the backdrop of a Singapore-oriented context with industry specialisations in hotels, integrated resorts and MICE sectors. Further functional specialisations will allow students to pick up managerial skills in running and managing hospitality businesses, such as hospitality sales and customer relationship management, hospitality consumer behaviour and hotel real estate investment analysis. With a strong and diverse faculty possessing worldwide hospitality industry experience, classroom learning will be complemented by international practical applications and best practices. A key aspect of our curriculum is SIT’s Integrated Work Study Programme (IWSP). Through this, students will work as employees of hospitality organisations to integrate real experience with classroom knowledge. As an applied learning platform, IWSP is envisioned to culminate in students becoming “Thinking Tinkerers” – by identifying hospitality issues for which they can develop innovative solutions through the Capstone module, i.e. an applied research project. Hospitality Business graduates will be well-poised for positions in a myriad of hospitality organisations in Singapore and beyond. A sample of these include hotels, integrated resorts, MICE companies, tourism and hospitality consulting firms, tourism bureaus, food and beverage establishments, hotel management companies, cruise lines, tourist attractions, airlines and airports. Diploma holders from any of the five polytechnics and A-level graduates are welcome to apply. Subject to approval, diploma holders may apply for appropriate module exemptions on a voluntary basis. SIT will deliberate the exemption requests based on educational considerations. At the end of Year Three, students may opt for International Experience. Students will be able to learn firsthand the practices of hospitality businesses overseas, and gain cross-cultural awareness as well as broaden their horizons. The course will introduce students to the role of tourism as an integrated system and various segments which comprise the tourism industry including transportation, travel, destination, visitor attraction, leisure, recreation, cruise and public sector entities. The operation and management practices of private and public sectors as well as their challenges will also be discussed. In addition, the course will include the discussion of tourism demand and supply as well as how the tourism demand and supply can be brought together. The importance of information communication technology and its application to the tourism industry will also be included. The course will show the relationship and synergy among the industry segments and examine the industry as a whole to create a total tourist experience. This module will provide students with the marketing principles that are widely applicable. Besides the marketing mix (product, price, place, promotion), the creation of experience will be highlighted as it is a key component of the hospitality sector’s strategy. Students will also be introduced to the topic of ethical marketing so that they can have more awareness of the right and the wrong, even in a commercial setting. This is an interdisciplinary field that includes elements from sociology, psychology, communication and leadership. Students will learn about the interdependent levels of human behaviours (as individuals, work groups and macro-level organisation). They will get to comprehend how various parties interact in workplaces that operate amid increasing diversity, information technology and globalisation. Introduction to Economics is an introductory economics unit covering key principles of both microeconomics and macroeconomics. Microeconomics requires an understanding of the behaviour of consumers, producers and markets, whilst macroeconomics studies the whole economy. An overall understanding of basic economic concepts (such as ‘what drives consumption’ and ‘business cycle’) will enable student to determine the Economic situation and its impact on hospitality industry. This module will equip students with the essentials of statistics, which can be divided into descriptive statistics and inferential statistics. The first half of the module will start with descriptive statistics which deal with collecting, summarizing, and processing data to transform it into information. Next, the theory of probability will be introduced which forms the basis for inferential statistics. The second half of the module will then continue with inferential statistics which deal with making estimations and decisions based on the information obtained from sample data. To summarize, the topics covered include descriptive statistics, probability theory and distributions, sampling distributions, inferential statistics and regression analysis. This module aims to enable a holistic understanding of Singapore’s multi-faceted hospitality industry, an important contributor to the country’s economy. It will provide an overview of the three key sectors of hotels & integrated resorts, F&B services and MICE by covering the structure of each and their respective stakeholders. Past and current events and trends will also be discussed to facilitate an understanding of how hospitality businesses have evolved as well as how they might continue to change. The importance of information technology to hospitality businesses will be highlighted in addition to their social, cultural and environmental impacts. The module will give students a broad understanding of the concepts and methods of forming service standards, improving operational processes and setting performance measures. In addition, students will gain insights on how successful companies formulate and execute service recovery systems, measure customer satisfaction as well as build a service culture. The course provides the necessary knowledge to students to understand the legal framework and environment within which they operate hospitality business. The features of the course include common law and the importance and relevance of torts, introduction, understanding and enforcement of contracts affecting hospitality development and operations, legal aspects of the different organizational formats, with an emphasis on agency issues and franchising format, a review of the laws and regulations affecting the operation of hospitality businesses, understanding risk alleviation and insurance programs, legal aspects of managing hospitality enterprises as they relate to employees, guests, suppliers, and physical facilities. After the course, students will have a clear understanding of their rights and responsibilities as a hospitality owner, manager and operator. This module provides comprehensive applications of accounting principles to the hospitality industry. It examines basic accounting processes of recording, classifying, and summarizing business transactions and provides students with both a conceptual understanding and practical use of internal accounting information. In the module, financial reports will be examined by using various analysis tools including ratio analysis and cost-volume-profit analysis to evaluate current/past, and project future operations. The purpose of this module is to help students understand financial accounting fundamentals. This is the first of two compulsory value-added modules, both of which aims to develop the soft skills required of Hospitality Business undergraduates. Firstly, career-related topics with a primary focus on securing employment will be covered. These include career planning, job search, resume writing and interview skills. Secondly, academic writing will also be covered. Communication is a core competency for Hospitality Business undergraduates. CPD I aims to help them to develop writing skills so that they will be able to cope with the writing demands in their academic modules. A student-centered approach will be adopted to encourage independent and collaborative learning as students engage in peer review and tutor-student conferencing. They will learn the essentials of academic writing in general, and particularly in writing a problem-solution essay. This module introduces students to the financial structure of hospitality enterprises and valuation and risk management. Students will learn how to understand and apply concepts such as the time value of money, valuation of bonds and stocks, capital budgeting, cash flow estimation, cost of capital and capital structure concepts. The module compares the financial objectives of the manager and the investor. This module is an overview of human resources, legal requirements, and labor relations related to the hospitality industry. It addresses functions of the human resource department in planning, recruiting, selection, performance appraisal, information systems, labor management, and recent legal issues. It highlights practical application of human resource, legal requirements and labor relations to current, real-world situations. This module covers the approaches of innovation in different categories of products and services. Students will have the chance to appreciate and use the principles and process of Design Thinking. Besides learning how to identify and propose innovations, students will realise the impacts of inventiveness on service excellence, customer experience, productivity and profitability. This module is designed for students to learn social science research methods that are important in the area of hospitality, tourism, leisure and related disciplines. Students will be able to learn the reason of conducting a research, how it is conducted and will be introduced with different designs, models and processes of conducting a research project. Students will be introduced with basic introduction to quantitative and qualitative methods. Building on the basics of accounting and finance, students will learn the financial tools used by management. The focus is from an insider’s view of the operations; hence, through these tools, students will learn how to interpret and analyse operating numbers so as to evaluate the operations of hospitality businesses in accordance with the Uniform System Of Accounts For Lodging Industry. Emphasis will be placed on understanding costing and its impact on decision making as well as forecasting and budgeting as a way of measuring financial performance. This is the second of two compulsory value-added modules aimed at furthering the professional skills of Hospitality Business undergraduates. Firstly, as an extension of the career skills covered in CPD I, CPD II will cover networking skills. This will include a tea session with hospitality practitioners in Singapore, allowing students to put to practice their networking skills. Secondly, professional communication will be emphasized. This will help students acquire communication skills so that they can manage the demands of communication at work in the future. A student-centered approach will be adopted to encourage independent and collaborative learning as students engage in peer review and tutor-student conferencing. They will learn to do some prominent types of writing and speaking tasks that they are most likely to encounter as Hospitality Business professionals in their work situations, including memos, executive summaries, meeting minutes, and oral presentation. This module aims to facilitate an understanding of the different functions and responsibilities of the various departments, how they work together and the competencies required of them at different stages of the guest cycle from arrival to departure. Emphasis will be placed on the organizational structure and operational mechanics of front-of-house and back-of-house functions of the rooms division. Basic concepts, principles and technique of environmental management will be taught to enable students to describe and understand the specific features of environmental management in the hospitality industry and the way in which the environmental management system relates to the management as a whole. The student will learn both positive and negative affects of the hospitality industry on our environment, and what we can do to minimize the negative effects. Upon completion of the Module, students will understand how different sectors of the hospitality industry (hotels, food and beverage, and MICE) can impact the environment and what actions we can take to minimize those impacts that are harmful to our environment. In this module students will have the opportunity to apply their knowledge learned from previous related courses. Students will be able to develop skills and abilities to understand how to manage a food service establishment effectively. Students will require to analyze a specific F&B establishment from a managerial perspective and will need to propose improvements and suggestions based on their analysis. This module provides an overview of the production of an event in a public setting and in a private setting. Students will develop skills to create a theme for a special event, design a production schedule, and develop issues such as budgeting for entertainment, selecting contractors, vendors and other interested parties involved in a successful event production and management. This module provides practical insights into the complex global convention and exhibition industry. It will address its economic impact to countries and cities, the role of exhibitions in a company’s marketing mix, the function of the international convention of an association or corporation, convention and exhibition venue operations including the marketing and sales function, tradeshow and exhibition show management, and the role of the many support service contractors involved in the industry. The module is divided into two parts. The first part will be a concentrated look into the global convention and exhibition industry and its venues, while the second part will deal with show management and operations. In this module students will learn the design, costing, marketing, and merchandising of catering and menus. Different catering facilities, including operations, sales, and relationship with outside vendors and related departments/industries will be assessed. Students will learn how to plan, organize and manage banquet services for the catering industry. Revenue management is a systematic and integrated approach designed to maximize revenue potential for a particular product, service or function in the hospitality industry. Optimizing revenue is achieved through a convergence of marketing, sales and revenue management. Students will effectively learn to use market place intelligence, forecasting, pricing and distribution channels, social networking, technology platforms, marketing services and revenue optimization techniques in order to maximize revenues and profits while meeting needs of customers and exceeding shareholders expectations. At the end of the module, students will understand the collaborative relationship between revenue management, distribution, and marketing and sales that allows accountability, communication, and cooperation in the global hospitality industry and how it is driven through technology. This module will introduce students to the dynamic workings of interwoven factors on consumer behaviour. Students will see how consumers’ perceptions, attitudes, memory and evaluations are influenced by a mix of social, psychological, cultural, economic and technological forces. They will get to understand how all these affect the purchases of hospitality products and services. This module focuses on all of the aspects of big data and business intelligence needed in the hospitality industry. Specifically, it addresses how technology is used in the areas of revenue management, distribution and marketing practice with focus on the customer lifetime value (clv) and tools of customer loyalty and retention practice such as CRM. Furthermore, it focusses on reputation management by applying data analytics to social media applications. The student will learn how to manage and use data and business intelligence. This module covers the key aspects of interactive marketing in the hospitality industry with the focus on how to develop more one-to-one oriented marketing programs that get measurable results. It is designed to develop an understanding of how to implement a marketing approach that has become increasingly powerful with today’s technologically. The student will learn how to develop and manage an integrated marketing campaign using a proactive, personalized approach and how to measure its success. This module will bring students through the process of conducting a hospitality business feasibility study. Through this, students will gain an understanding of hotels and integrated resorts as a class of commercial real estate. They will also learn how to analyse a hotel market from a supply-demand perspective covering aspects such as economic drivers, site features, market share, performance projections as well as proforma income statements. This module will expose hospitality business students to the ‘hows’ and ‘whys’ of managing a hotel project, focussing on new-built projects and renovation / upgrading works. Students will gain an understanding of the typical sequence, from conceptualizing and planning to feasibility, costing, design, construction and completion. The roles of different parties at the various stages will be discussed. Other topics that will also be included are project planning, budgeting, management and communication. Through this module, students will learn about hotel design and the latest trends in the industry. They will learn how to identify efficient and effective hotel spaces and to evaluate what will / will not work in a hotel. This will involve an understanding of the physical aspects of a hotel / resort building, including mechanical and engineering considerations, costing, replacement as well as safety and security issues. Students will also learn about the roles and responsibilities of the hotel architect, interior designer and design specialists. This module is designed to allow students to investigate a wide range of current issues, challenges and new developments in the dynamic hospitality industry. Students will learn how to identify, analyse and assess the issues, challenges or opportunities in the ever changing hospitality business environment. In response to the identified issues, challenges or opportunities, the students will also be given an opportunity to provide solutions or measures which are expected to be practically and fundamentally sound, able to improve the efficiency of or create value to the industry, and / or make improvements in the social, economic or environmental aspects of the community. This module will present how hospitality businesses use strategic management to lead and operate. Students will learn how to distinguish long-term direction and strategy versus short term operational decisions. Students will be presented with real case studies to assist in-class discussion and students will need to prepare to think critically as they were part of the managerial team. This module focuses on the hotel perspective of the convention and event industry. It addresses how to reach, sell, and service different kinds of meetings and conventions, the types of organizations that stage such events, and the people who hold the key to site selection. The module is divided into three parts. The first part will concentrate on hotel convention sales and sales management, the second part will deal with the hotel sales process, and the third will deal with the event/convention service operation of a hotel. Hospitality asset management refers to the fiduciary duty of managing the lodging investment to meet the specific needs of ownership. Students will learn the roles and functions of an asset manager in building asset value at both property and portfolio levels. Topics include development of asset management plans, selection of a hotel management company, managing the hotel manager, capital improvements, strategies to optimize hotel performance, benchmarking of financial performance and strategic investment decisions. The global cruise industry will capture $40 billion in revenue from 22 million passengers in 2015. Cruising is the fastest-growing segment within the overall tourism industry, historically doubling in size every decade. The industry is defined by increasing levels of operational complexity, with the ongoing rollout of 6,000 passenger “floating resort city” megaships. Geographically, the Asian-based cruise industry is the fastest growing region in the world today, ensuring strong demand for knowledgeable employees competent to strategically manage the complex and exciting dynamics of cruise operations. This module will focus on the business organization and operation of the global cruise industry. The module will introduce learners to cruise industry principles, practices and methods required to successfully enter the cruise business. Content will focus on both supply (Cruise lines), and demand (Cruise passengers) equations, with a special focus on the critical role of cruise consumer behaviour and related marketing activities. Visitor attractions play an important role in the tourism industry and are often key motivators for tourist visits, as well as being an essential element for the day visitor recreation market. Disneyland, Universal Studios, Legoland are some of the first few attractions that spring to mind when we think of attractions. But in reality, there are many more attractions such as parks, churches, museums and even festivals. Through this module, we will explore the various classifications of attractions, understand the factors that are crucial for its success and gain an insight into the key areas of managing an attraction. Authenticity and ethical challenges such as environmental issues and sustainability will also be briefly discussed. This module will be highly interactive and engaging, as we look around the globe to various attractions to try and understand their inner workings. Do you know why the MRT stations Khatib and Yio Chu Kang are so far apart? This is because when the MRT tracks were being planned for this area, the Singapore Government was in discussions to build a Disneyland on the plot of land between the two stations. Now, can you imagine the impact of this attraction on Singapore if it was constructed? Join us for more fun facts and serious learning on Tourist Attractions Management. • Studies designed to measure the profit contribution of popular slot promotions. The Gaming Industry has expanded across the globe rapidly and the management of a casino has become a specialized skillset that requires dedicated study and research. This module focuses on the relevant aspects of media channels and content to the tourism industry. Specifically, it addresses (1) mass communication (framing) theory, (2) travel journalism, (3) tourism promotion: channels and content (width and depth), (4) tourism destination image (TDI), (5) film tourism, (6) music and literary tourism, (7) communication mix and TDI, (8) International Media Programme (familiarization trips), and (9) media strategies in crisis management. Overall, the module focusses on TDI formation and management by applying mass communication theory to destination promotion and crisis management. Students will learn how to identify the suitable media channels and content to promote a desirable TDI within the advertising budget. This module is designed to introduce the concepts of luxury management in the hospitality and tourism- related industries, such as retailing. It aims to enhance our students’ perspectives in the luxury business. Students will be engaged in different projects to develop a deeper knowledge of the international luxury market, with a broadened mindset. Furthermore, this module will discover different ways in handling luxury business across global markets, and also cover the local Singaporean luxury brands and markets. The major topics for this module include: 1) Luxury Brand Management, 2) Sales and Distribution of Luxury Products, 3) Luxury Communication and Strategic Marketing, 4) The Challenges and Opportunities of the Luxury Market. This is an introductory module for the study of entrepreneurship. This module introduces students to the processes of starting a business from the ground up and to large scale. Students will learn to understand the environment and determinants of entrepreneurship, identify the sources of business opportunities, develop those opportunities into business concepts, integrate various concepts and tools together, and finally construct a business plan. This module will focus on the fundamental tasks associated with the early stages of starting a new business: (1) how to identify and validate business opportunities; and (2) how to write a business plan to sell your concepts and raise capital. This module covers the key aspects of the wide field of alternative accommodation that incorporates a variety from limited services to accommodation models within the sharing economy. The module is designed to develop an understanding of how to develop, operate, and manage such alternative accommodation models in light of dramatic changes in the hospitality industry. The student will learn about the operational challenges of this specific market segment, and will learn from practice by using case studies, field trips etc. This module provides an overview of airlines industry which include the topics ranging from operations to management and marketing.In this module, the students will get to know different types of airlines, regulation frameworks in the industry and how the regulations affect the business, operation and management aspects of airlines.Students will also learn the methods to analyze the market environment as well as the links between the market environment and the business of airlines.In response to the market environment, the students will be able to suggest appropriate strategies in the area of marketing, pricing, revenue management, product design and distribution channels for airlines.The students will also learn the characteristics of passenger demand in different market environment and the factors affecting the passenger demand. This module addresses the key issues of destination development and management. Students will learn ways and methods of planning tourism development in destinations from a sustainable perspective. This module will also guide students step-by-step to manage and market destinations, analyse strengths and weaknesses of destinations, discuss strategies to further develop the strengths and overcome the weaknesses in order to develop a successful and attractive destination. The students will also learn impacts that might be induced due to tourism development in a destination and discuss the strategies to monitor the development and minimize the impacts. This module will expose students directly to the role of cuisine in culture, society, environment and economy through readings and hands-on engagement with world cuisine and food. Students will develop extend and rich understanding of different cuisine around the world and its importance and influence in our daily lives.